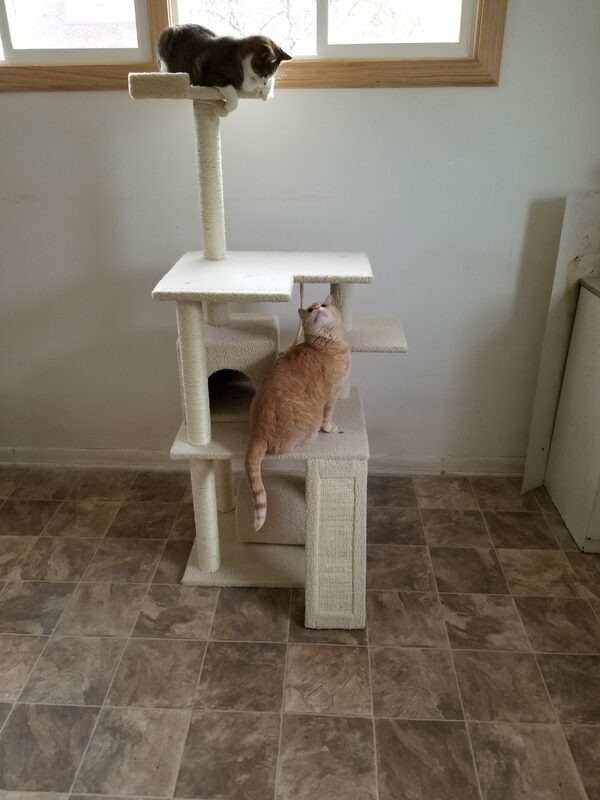 I was provided a Frisco 62 ” Cat Tree From Chewy.Com to facilitate my review. All thoughts are 100 % honest and my own. The Frisco cat tree was very easy to assemble. The instructions on how to assemble the cat tree were spot on and I had it assembled and ready for my cats to enjoy in record time. 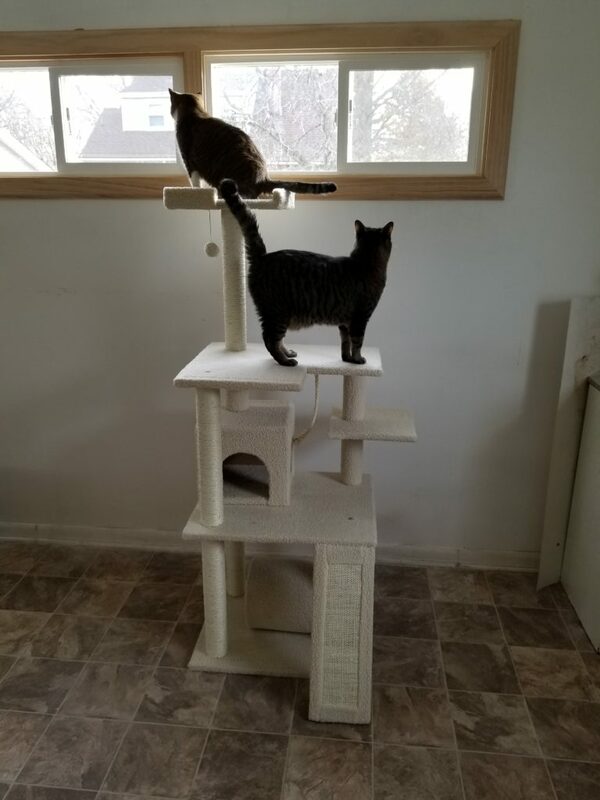 I love the quality of the Frisco cat tree as it is very sturdy and well thought out. The Frisco Cat Tree From Chewy.Com has a scratching mat, a bed, several ledges and lots of scratching post and shelves, a rope to play with, a ball on a string, and a tunnel to hide in. Russ and Faith were the first two to use the Frisco cat tree. Faith played with the rope toy and the ball and ended up on the top ledge looking out of the window. Russ licked my hand while I was assembling it and the he rested on one of the ledges. Cali loved the cat bed and she curled up in it for awhile. Maggie sharped her claws and got them in optimal working order. Nicole came out of hiding to check it out. Hilford played with the string rope and rested on the side shelf for a period of time. Mr. Gray was on the top ledge later on looking out of the window at me as I walked bye. Faith was looking out of the window this afternoon on the top ledge. I also noticed Cali taking a sunbath on the top ledge. My cats love to leap up to the different tiers and sharpen their claws in passing. Russ was moving his front paws up and down on the side board claw sharpener. This morning Addi and Faith were enjoying the Frisco cat tree from Chewy.Com. Peter was on the top tier looking at me come to the house this morning. All of my cats next door love taking turns playing and clawing and sleeping on the Frisco cat tree. They love to leap to the different tiers and play with the rope toy and the hanging ball. 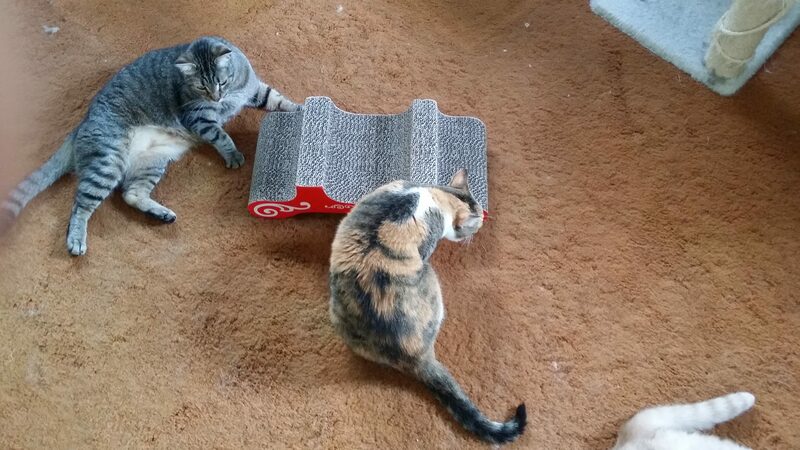 They love to lay in the cat bed and play with the other cats tail as they walk bye. 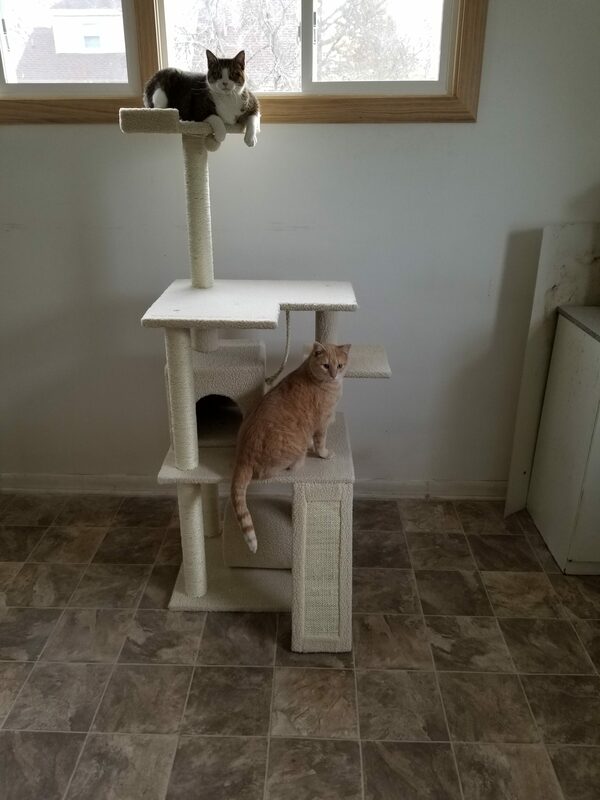 My cats next door are absolutely in love with their new Frisco cat tree from Chewy.Com. 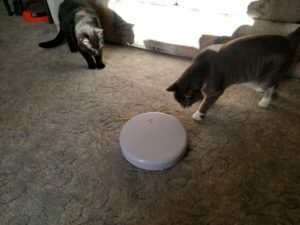 I was provided a Pet Safe Flik Automatic teaser throws a string to excite your cat from Chewy.Com to facilitate my review. All thoughts are 100 % honest and my own. Garfunkel loved catching the string as it automatically came out of Pet Safe Flik string thrower. He played with it until a bird crashed into my window and upset him. Kohl would grab onto the string with his pads until he had to let go. Kohl also had the string in his mouth like he had caught a mouse or a rat. 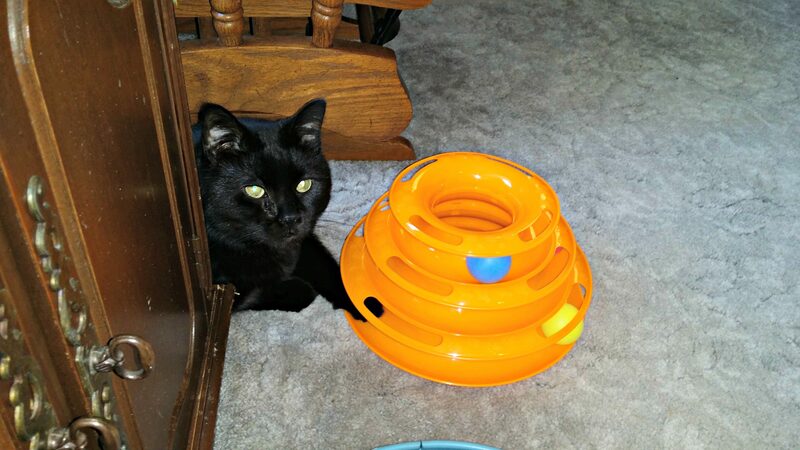 Kohl is eleven years old and he acted like a young cat again as he played with the Pet Safe Flik automatic teaser throws a string to excite you cat game from Chewy.Com. With the Pet Safe Flik you can watch your curious cat stalk Flik and try to capture the string before it hides again. Your cat will have much more fun with the Flik than with an ordinary string. The Flik takes three AA batteries to operate. Always supervise pets playing with pet toys.The Flik awakens your cats natural hunting instincts and is good for all ages to cats to play with.The Flik stimulates your cat and provides exercise for your cat also. 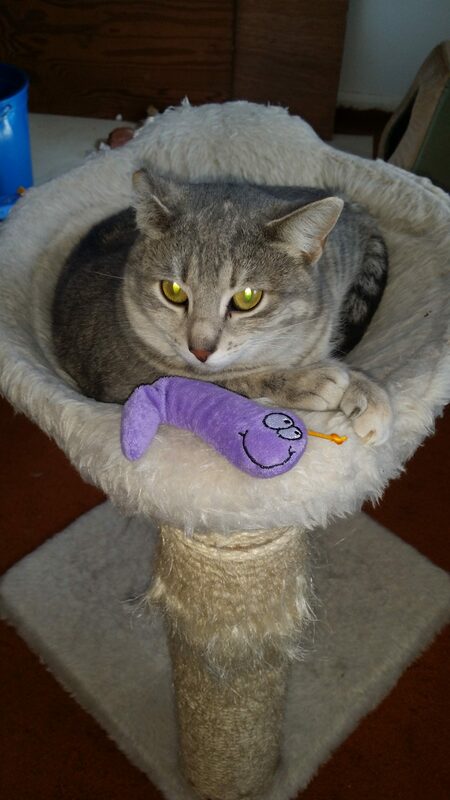 I placed the Pet Safe Flik from Chewy.Com in front of my cat Russ next door. Russ was very fascinated with the string that came out of the Flik. Russ grabbed the string between his paws several times and than he started holding the string in his mouth. Russ had an extra strong grip on the string between his teeth and he started pulling the Flik across the Living Room floor. Russ let go and grabbed the string again with his pads. Pet Safe logo says Safe Pets – Happy Owners and protect, teach, and love. My cats were very proud of themselves when they caught the string. My cats like to eat a little bit of fresh or dried catnip now and then. Cats love a little tuna canned in water or a wonderful cat treat. Garfunkel loves to eat a few fresh spinach leaves in the morning when I make an omelet. Cats love to lick out cottage cheese containers or yogurt containers. Our neighbors once had a cat that loved to eat cooked asparagus. My cats like canned cat food that has pumpkin in it. 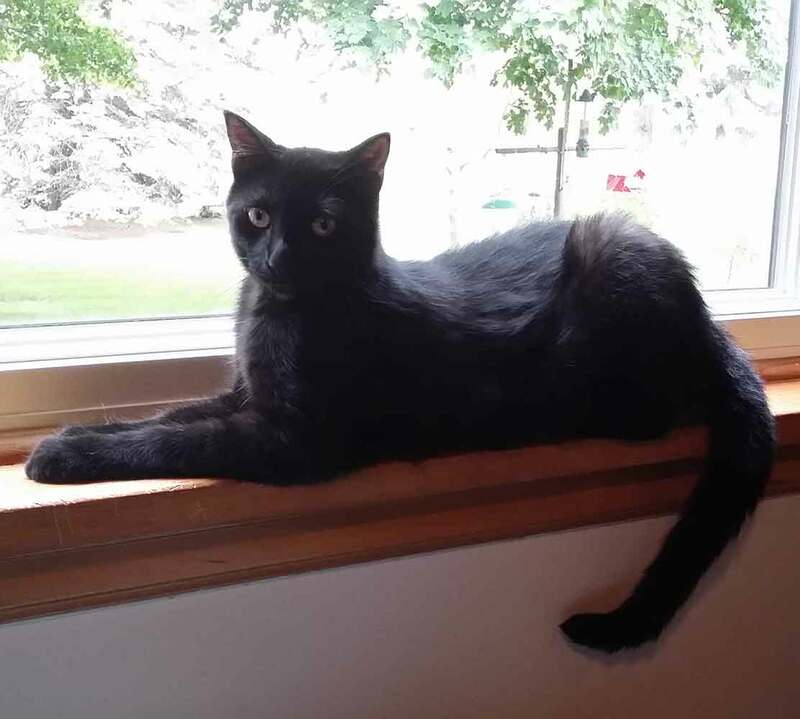 My cat Kohl loves it when I comb out his coat with a large comb for cats. All I have to do is show Kohl the comb and he comes running to have his coat combed out. My cats also like to have their hair worked on with a glove that has rubber barbs on it to remove their old cat hair. All of my cats love their circle ball toys and catnip stuffed toys. 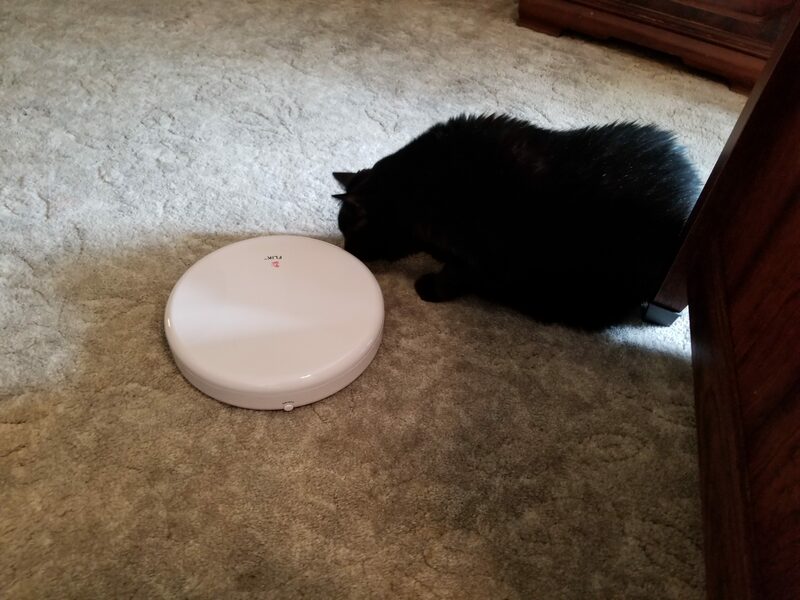 For an interactive toy my cats love to play with the robotic cat Zoomer. Conrad likes to work for his cat treats. I put his cat treats in a dispenser that gives your cat a treat if they manage to roll it right to get the treat to come out of the hole in the dispenser. Cats like fresh water and a clean litter box everyday. 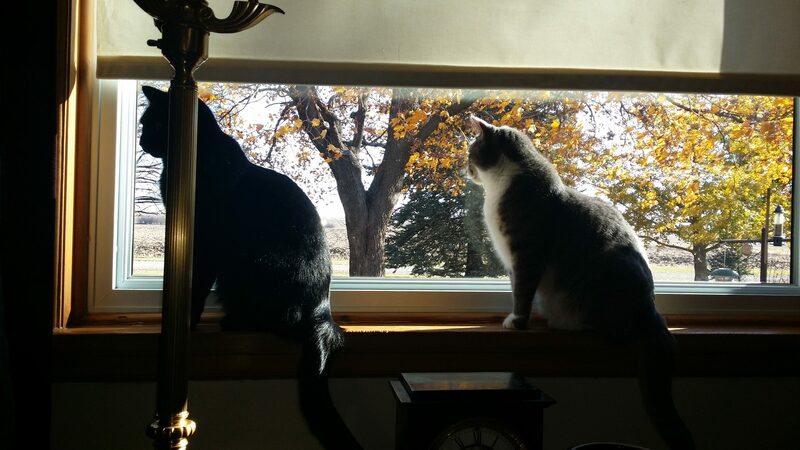 All of my cats love heated beds or heated windowsill beds. Cats like fresh towels in their boxes that they like to sleep in. 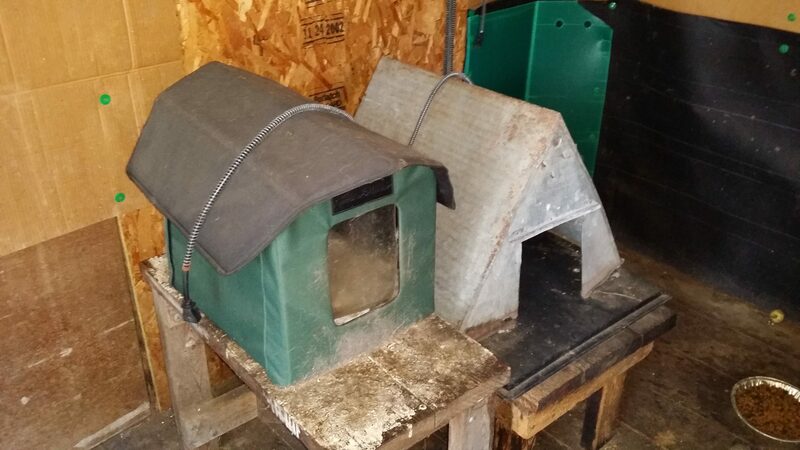 My outdoor cats like a can of cat food to help them withstand the cold weather along with their heated beds and water dish. Cats love to be held and snuggled on their terms. My cats love to be scratched under the shin and have their backs rubbed gently. Cats love to curl up on your bed at night with you. I hope you and your cat can please each other for many years to come. I like all of my cat food to be made in the USA or Canada. I like Grain free cat food and dye free cat food. I prefer the smaller size pieces of dry cat food because they are easier for my cats to chew up and swallow. My cats prefer chicken, turkey, tuna, and beef flavored cat foods. I like freeze dried cat treats and treats that I can put in a toy that they have move around to get a treat dispensed out of for them to eat. Cats get some exercise when they have to work at getting their cat treat out of the dispenser. I like stainless steel heated water bowls which can be taken apart and you can replace the heat element in them. The plastic heated water bowls do not last long and when the element wears out you have to throw the bowl away since it does not come apart. 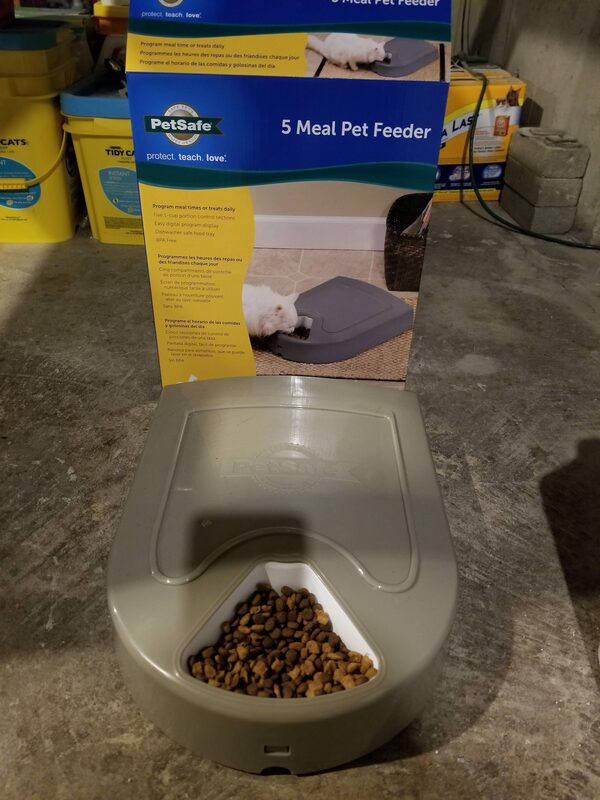 I have used a stainless steel water bowl with no issues whatsoever for eight years. I like all of my pet food containers to be stainless steel or pottery pieces that are easy to clean and maintain for your cats optimal health. Plastic bowls harbors germs once they get scratches in them. 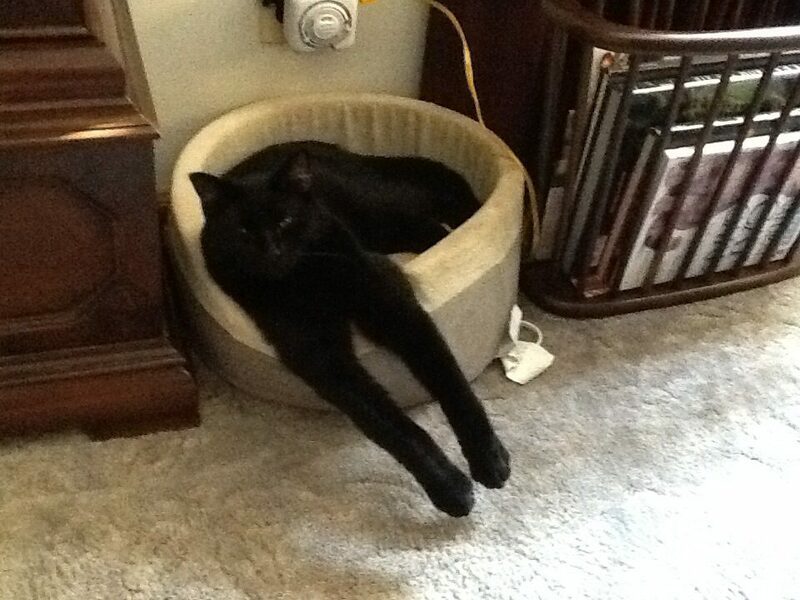 I like K & H heated cat beds from . 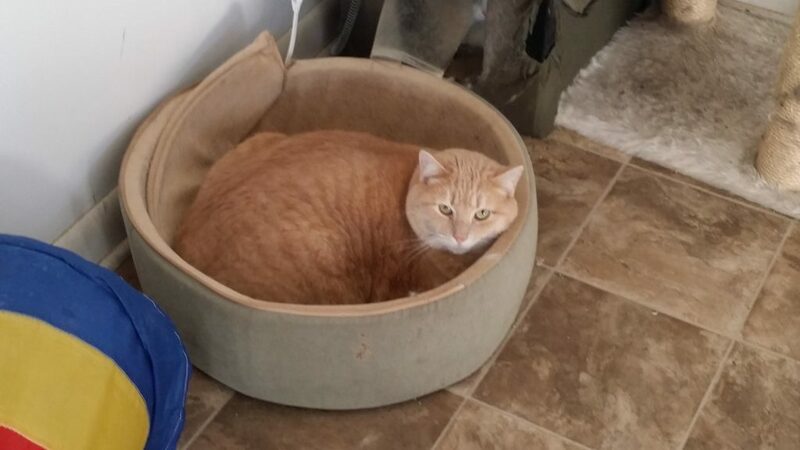 The oldest K & H cat beds I have been using are eight years old and they are still giving my cats the comfort of warmth. 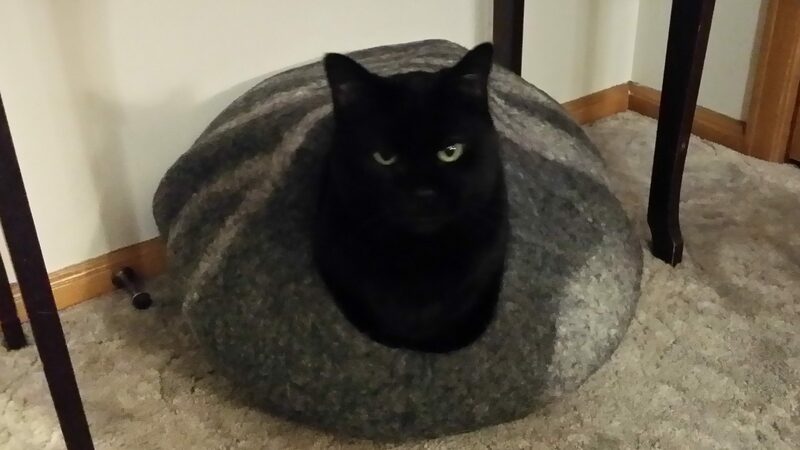 The heated cat beds sense when there is a cat on them and only put out heat once the cat is situated in the bed. 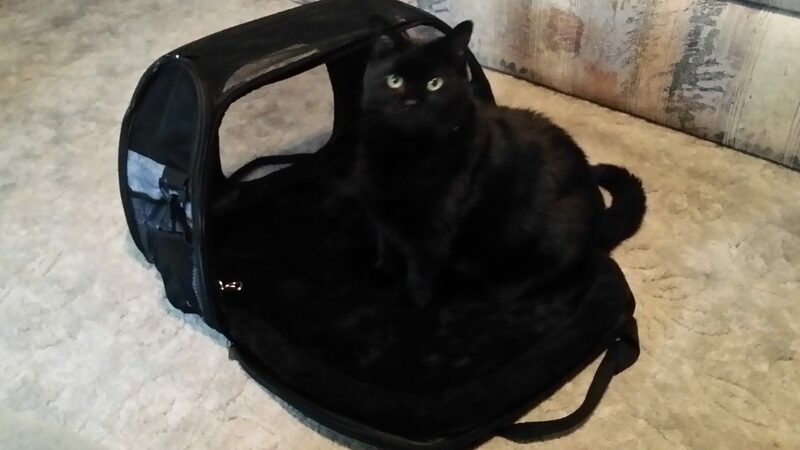 It does not cost a lot to keep your cats nice and cozy all winter long with a K & H heated cat bed. I like clumping cat litter which is much easier to work with then the traditional cat litter. Your home will smell extra nice with a long acting clumping cat litter. I like the catit self sifting litter boxes and the Litter Maid cat box. My favorite cat toys have catnip in them. My cats love to play with circle toys , toy mice, balls, birds, and Zoomer a robotic cat that meows and follows them and makes a lot of different cat sounds. Cats like a variety of toys to play with. They get bored with the same old cat toy day after day. Cats like bright colored balls to chase around the house after or throw up in the air. My cats love toys filled with catnip. The catnip toys entice your cat into playing with the toy for a long period of time without losing interest in the cat toy. 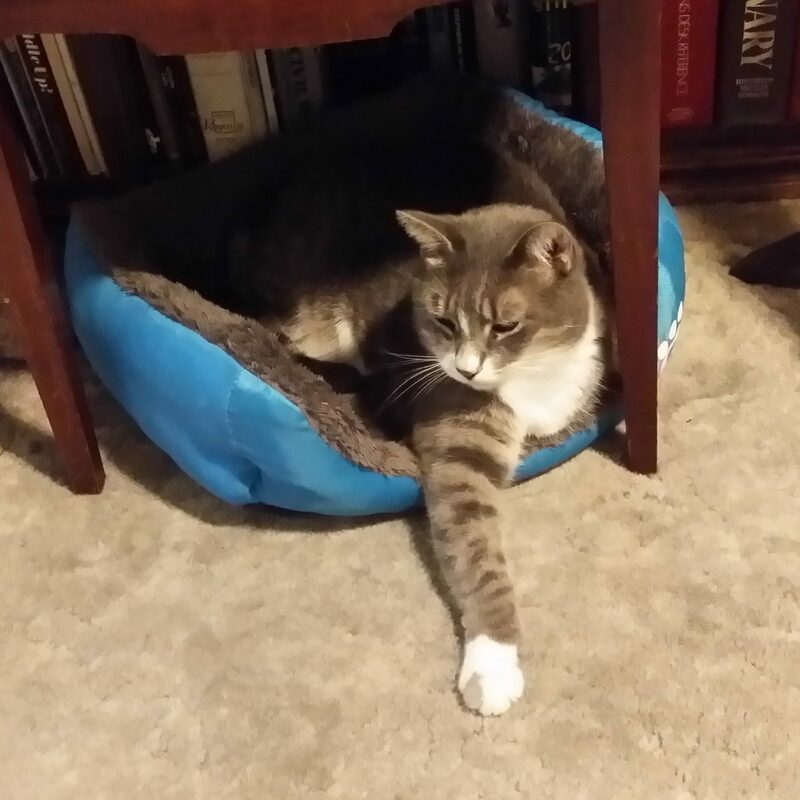 Some of my cats favorite cat toys are : circle ball toys, small stuffed animals, toy mice that are gray,black or white in color, an air wand with a fish on the end of the string, plastic frogs, plastic reptiles, sparkle balls, singing bird. catnip filled toys of all shapes ,etc. 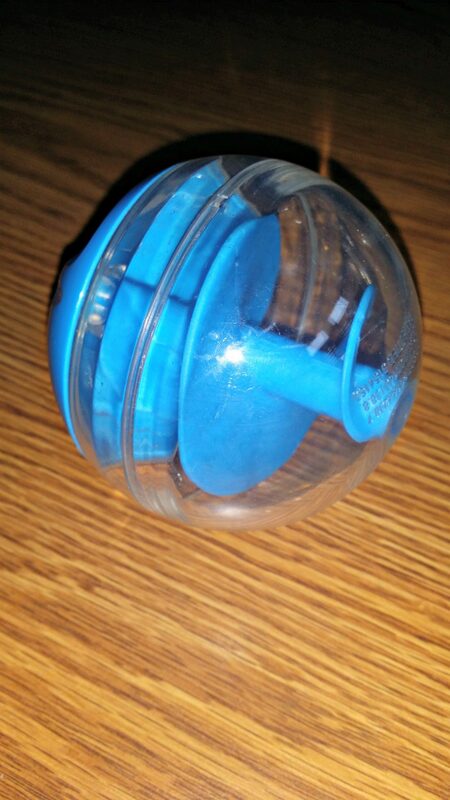 I watch what types of toys my cats like best and then when the cat toy is worn out I replace it with a similar cat toy. 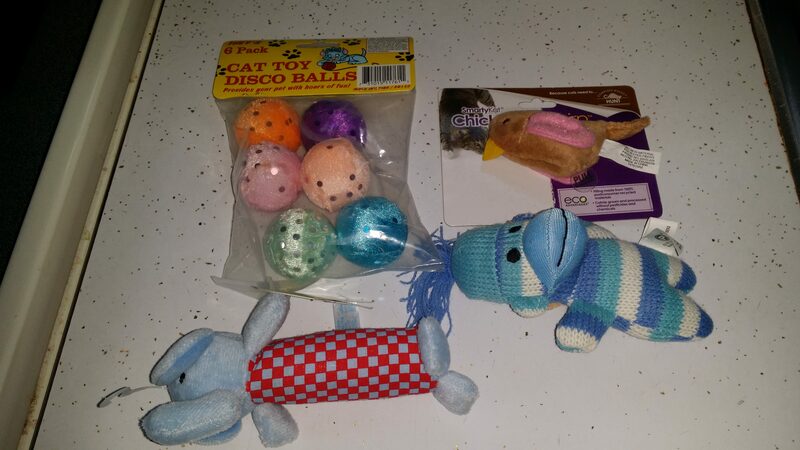 I have purchased a lot of singing bird cat toys, mice,balls, and catnip filled toys. My cats will spend a lot of time batting balls around in a circle toy for cats. I purchased the robotic cat Zoomer and my cats were very fascinated with him. 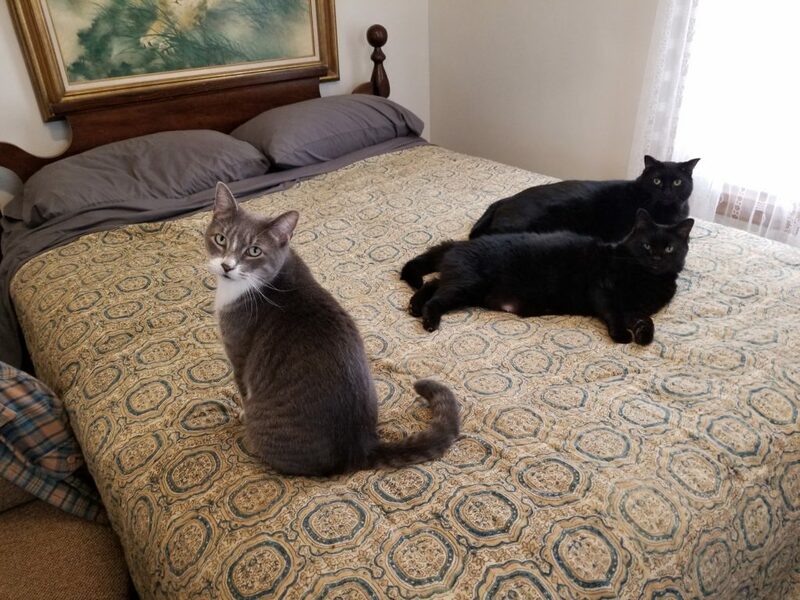 They would follow after him when he purred and moved his tail around. Zoomer made a loud hissing noise that rather shocked my cats for a little while. They decided the robotic cat was not so bad after all as he was not in competition for any of their cat treats. 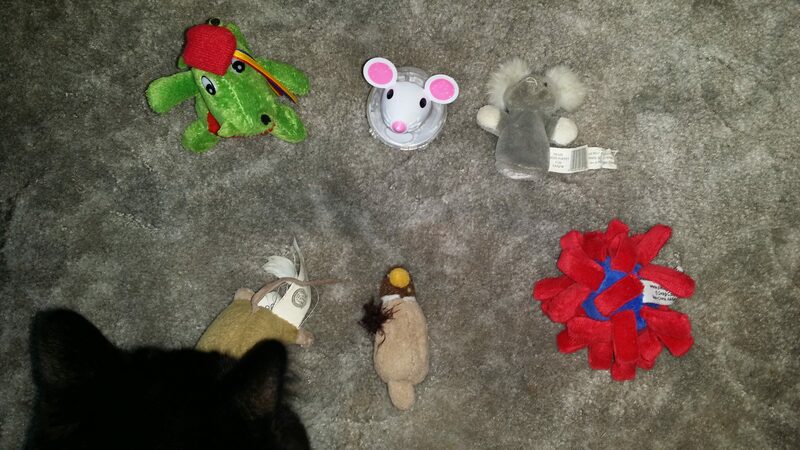 I let my cats chose the toys they want to play with for the day. At the end of the day I put all of their cat toys back in their box. The next day some of the toys from yesterday reappear along with different toys. Sometimes a toy they seem to have forgotten about will be a new highlight of interest for them once again. I buy a lot of my cat toys online and at my local pet stores. I like to watch demos of cats playing with cat toys in stores or online as it gives me some sort of an idea on how my cats may interact with that particular cat toy. I hope you and your cat will be entertained for hours with your cats new toys.